With window replacement, needs unheard are needs unmet. 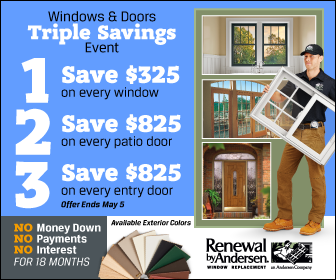 At Renewal by Andersen® of St. Louis, the number one rule of customer service is listening. We lend our ears and give our undivided attention to capture the vision of our customers and offer the best solution based on what we learn. During your in-home consultation, we’ll talk about your motivations for tackling your project. The process will be easier if you already know the changes you want to do. But if you’re unsure about the best solution to achieve your functional and aesthetic goals, our design consultant may suggest ideas for you. You can rely on our representative to tell you which ideas work and which don’t. We’ll advise you when the windows you want won’t resolve current issues or might cause unintended drawbacks, and recommend more feasible alternatives when necessary. Our company offers more than just a wide selection of window styles. We provide you with a wealth of customization options to bring your dream units to life. We’ll help you uncover excellent ideas you have yet to consider and push the limits of design possibilities to boost the livability of your home. Buying replacement doors and windows is a major decision. The installation may be the least inconvenient of all home improvements, but it can be costly. We understand the fear of failure, which is why we’ll do everything to keep you from making choices you’ll regret. Whether you have 5 or 50 questions, we’ll be glad to answer them to your satisfaction. We’ll walk you through the process to set your expectations. Our in-home consultation is free and involves no obligations. Our no-pressure policy gives you the freedom to take your time and decide to move forward only when you’re ready. Set up your initial meeting with Renewal by Andersen of St. Louis. Call us at (314) 332-2364 to schedule your FREE, in-home consultation in St. Louis, MO, or any nearby areas.